Sarfraz Ahmed, the Pakistan captain, has won his second toss of the series and, much like in Dubai, had no hesitation in deciding to bat first. The pitch, like most others in the UAE, is expected to become more conducive to spin as the game wears on. Even though Pakistan couldn't quite get the job done in the first Test, they were able to amass a large first-innings score and gain a massive lead, allowing them dictate terms throughout. They have made two changes to their side - one enforced - and will field a pair of debutants. Fakhar Zaman has come in for the injured Imam-ul-Haq, while Mir Hamza has been preferred to Wahab Riaz, who had an underwhelming game in Dubai. 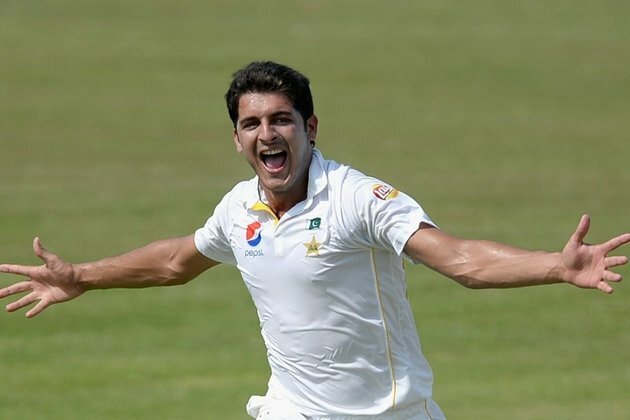 Hamza, a 26-year-old left-arm quick, has taken 278 wickets in 56 first-class games, at an average of 17.74. Australia will be looking to make greater inroads than they did early on in the first Test, where the visitors went wicketless for the first two sessions. They have named an unchanged XI, suggesting they were satisfied enough with the performance in Dubai and have faith in the side to kick on from the momentum built there. The only real doubt was over the left-arm spinner Jon Holland, with the possibility that he might make way for Ashton Agar. Shaun Marsh and Mitchell Marsh, meanwhile, are expected to continue at Nos. 3 and 4 despite their twin failures in Dubai. Australia have confirmed that Test squad members Matt Renshaw, Brendan Doggett and Michael Neser will fly home this evening to be ready for the next Sheffield Shield round. T20 squad members Adam Zampa and Glenn Maxwell will serve as substitute fielders from the second day onwards. Victory here would see Australia become the second side to defeat Pakistan in a Test series in the UAE since it became their long-term home venue, following on from Sri Lanka's success last year.